North Point Press, 9780374531379, 368pp. The question of cleanliness is one every age and culture has answered with confidence. For the first-century Roman, being clean meant a two-hour soak in baths of various temperatures, scraping the body with a miniature rake, and a final application of oil. For the aristocratic Frenchman in the seventeenth century, it meant changing your shirt once a day and perhaps going so far as to dip your hands in some water. Did Napoleon know something we didn't when he wrote to Josephine, "I will return in five days. Stop washing"? And why is the German term Warmduscher—a man who washes in warm or hot water—invariably a slight against his masculinity? 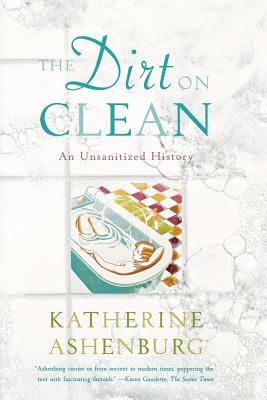 Katherine Ashenburg takes on such fascinating questions as these in The Dirt on Clean, her charming tour of attitudes toward hygiene through time. An engrossing fusion of erudition and anecdote, The Dirt on Clean considers the bizarre prescriptions of history's doctors, the hygienic peccadilloes of great authors, and the historic twists and turns that have brought us to a place Ashenburg considers hedonistic yet oversanitized. Katherine Ashenburg is a journalist, lecturer, and regular contributor to The New York Times. Her books include The Mourner’s Dance and The Dirt on Clean.